No doubt that you have heard about the Instant Pot. I lovingly refer to it as the “insta pot.” You’re just about ready to buy one and give this modern take on pressure cooking a try, but you aren’t quite sure which model to get. There are so many choices these days. There are a few different models of the Instant Pot available. They come in different sizes, have different functionality, and of course different price points. I will quickly run through some of the most popular models so that you can make the best decision on which Instant Pot to buy. If you are cooking for less than three people, you probably want to get the 5-quart size. It will fit nicely in a small apartment or dorm room. The six-quart model is the one I use for my family of 3. It is the most popular and the most versatile. It is an excellent choice for an average sizes family and will make pressure cooking a breeze. If you are unsure of which size you want, go with this one. You will not be disappointed. If you have a large family or will be cooking for groups of people, let’s say church dinners or women’s groups then you will want to splurge on the 8-quart. Now that we have the sizes out of the way let’s look at the different models. There are three main models which have a couple of variations to make deciding just a bit more difficult. This is the basic Instant Pot model. You may also hear this model as the 6-in-1 model. It is called this because it is a pressure cooker, rice cooker, slow cooker, steamer, sauté and keep warm functions for a total of 6 different functions. This is the mode l I use. The only difference from the Lux is that you can make yogurt with it. I received this as a birthday gift otherwise I would have gone with the Lux. The DUO is only slightly more than the Lux, so if you are a yogurt maker, this is a very affordable option. The Ultra is the latest model and the queen of Instant Pots. It is a 10 in 1 and can cook just about anything under the sun. The Ultra also has the highest degree of customization. Also included is Alexa guided cooking, recipes, video, and more. If you are ready to dive into modern day pressure cooking or if you simply want to upgrade I recommend the Ultra. If you’re a budget-minded mama like me and you have an average sized family, go for the Lux model. If you make all the things, then try the Duo or Ultra. 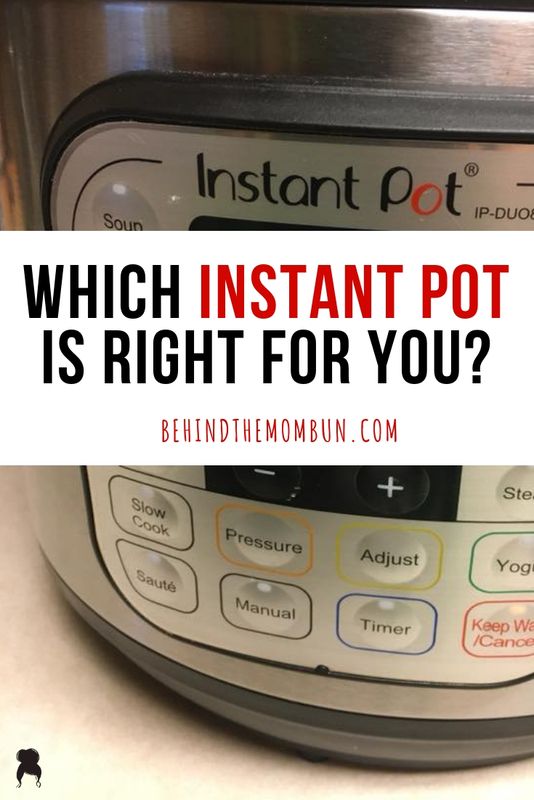 Honestly, it’s hard to go wrong no matter which model of instant pot you choose. 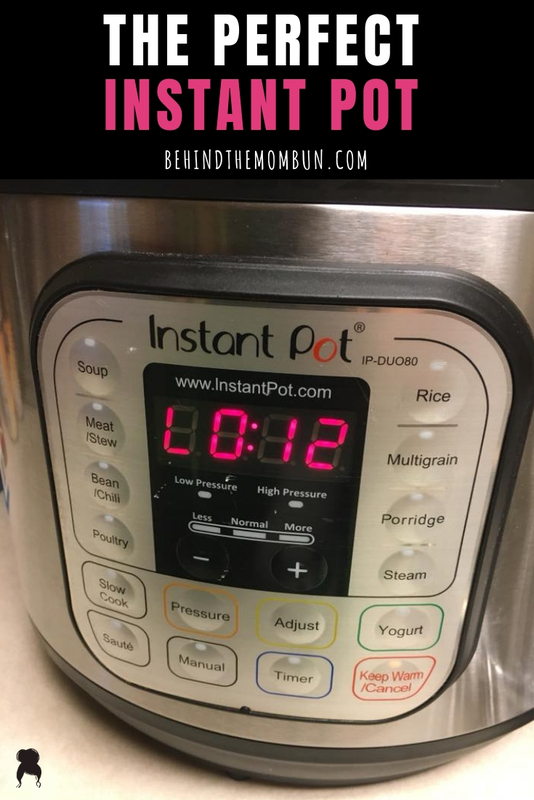 The post Which Instant Pot is Perfect for You appeared first on Behind the Mom Bun.